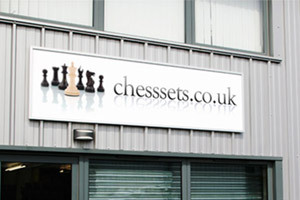 ChessSets.co.uk was formed in 2011 as a dedicated online chess retailer to bring UK internet shoppers the very best chess sets at the very best prices. ChessSets.co.uk is part of the JDS group of companies. JDS have been specialising in the import and online retail of traditional games since 2005. Most of the chess sets featured on our website have been imported from outside of the UK. We source our products for their quality and design from countries like Italy, Poland, Spain, India and Germany. We also stock a handful of items that are made in England. At the heart of ChessSets.co.uk is a dedicated team of ecommerce and web marketing professionals who are dedicated to bringing you the best online ordering experience and the most up to date website. We go the extra mile to ensure that you are presented with accurate information and high quality detailed images of the chess set you are about to order online. Our slick online ordering process is backup up by a professional order processing system that utilises our UK based warehouse. All orders received are dispatched immediately using your chosen shipping method to ensure a fast delivery service. "To offer a concise and clear range of chess sets of outstanding quality at highly competitive prices without compromising on quality or customer service."